It’s September 30. It’s exactly six months until we leave Japan and go to Canada. I’ve been in Japan for more than ten years. And soon, it’s coming to an end. How do you think I feel? Can you imagine what it’s like to leave a country you’ve lived in for more than a decade and return to your home country? I’m still trying to figure out my feelings. They’re totally mixed. I will miss a lot, I have some regrets, but it will be great to see my family again. I’ll have to adapt to life in Canada again. That might not be so easy. But we’ll see. I’ll be posting a video about this later on. I talk about my biggest regret and what my plans are. So, check back later. My YouTube video series, A Taste of Japan, continues! My first two videos were about festivals. Well, now we look at a place. This is more of an introductory look at what a Buddhist temple in Japan is like, rather than a look at this particular temple. It’s not a famous temple, which is good. I needed a typical temple to show you what you can find in any neighbourhood in Japan. So, enjoy the video. If you have any questions, please let me know in the comments below. I’ll also be making a Shinto shrine video when I can, hopefully before my sister is here. And then, many, many videos! And if you haven’t done so, please subscribe to my YouTube channel! I must sound like an audio file on repeat (a modern version of a broken record). As a language teacher, I know how people can study more effectively. However, sometimes teachers don’t take their own advice. Well, I’m going to take my own advice, as well as that of others. On Duolingo, I’ve tended to keep doing new lessons. Well, unfortunately, that means I keep forgetting the old lessons. For each new lesson, I’m going to use the Strengthen Skills feature twice. That will allow me to review what I’ve already done and keep the words fresh in my mind. And repetition like that will help me remember more quickly. I’m also going to start keeping notebooks. I’ll write down new vocabulary, verb conjugations, and more. I’ll practice by writing sentences, as well. I’m also going to start using Memrise, which I haven’t really explored much, but I have been told it’s great for vocabulary. It even has Japanese, which would be nice to use. Another thing is to try reading websites in the languages I study. However, I’m at such a low level at the moment that it wouldn’t be very practical. I’ll leave that until later. Do you have any language learning strategies that work for you? Flowing Liquid Water Confirmed on Mars! 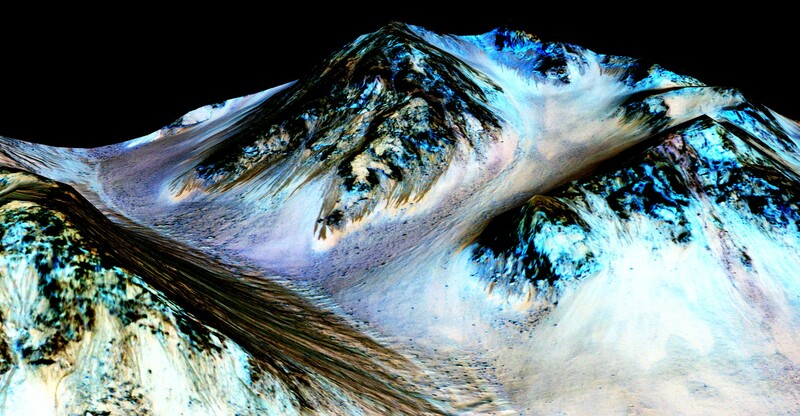 NASA has confirmed that flowing liquid water does exist on Mars. This is very big news, and this shows that liquid water is present on the planet, and the implications are huge. In recent years, Mars Reconnaissance Orbiter has shown images of long dark streaks on the walls of a crater that were suspected to be from liquid water flows. However, people were skeptical, since it could have been a landslide instead. 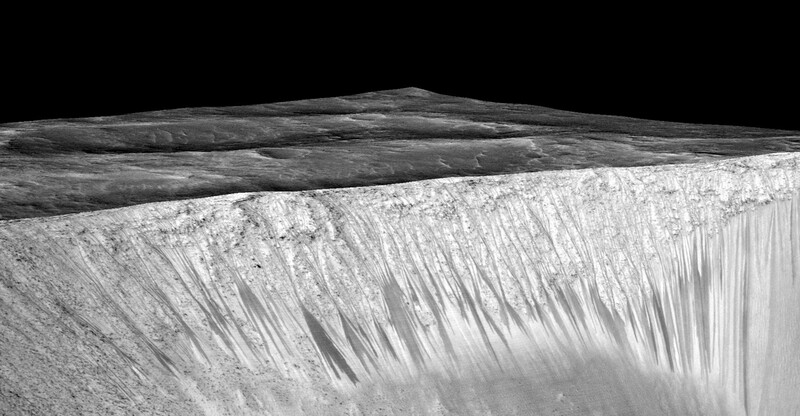 But now, there is direct evidence that these streaks are hydrated salts. The salts, or perchlorates, have been previously detected by landers, such as Viking and Phoenix. However, this is the first time that hydrated perchlorates have been detected. That means that it was wet. Liquid water. This briny water can exist in liquid form at temperatures below freezing. The streaks disappear as temperatures get colder, but appear during warmer weather. This is really big. 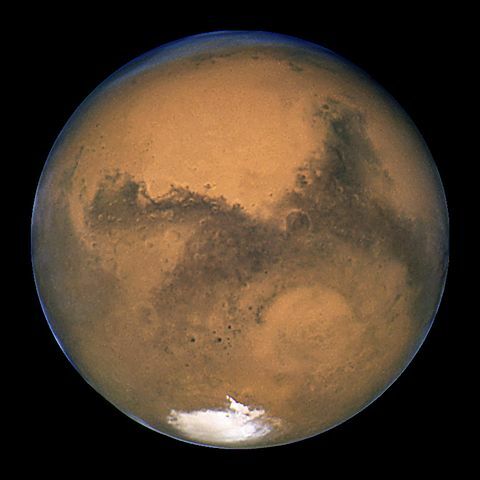 This means that there is flowing liquid water now on Mars. This kind of water is present on Earth in deserts, and it does support life. It’s very possible that life can exist on Mars today. It doesn’t mean that life does exist now, but we now know that it is likely to be able to support microbial life. Now we just have to examine these areas. I don’t know about you, but I am very excited about this. This has been an amazing year for planetary science (just a recap: landing on and orbiting a comet, orbiting Ceres, Pluto flyby, Enceladus confirmed to have global liquid water ocean, Mars has liquid water). What can we expect next? Who Has Your Personality Type? What I find interesting is that it describes INTJ as a natural leader. So, basically, I’m a strategist. I guess I do a lot of careful planning in many ways. And I do like strategy games. But it shows some famous people who have the same personality type as me. First is Mark Zuckerberg. How interesting. The founder of Facebook is like me? Why didn’t I think of something like Facebook? I’d be rich. Second is Jay-Z. Not Jay Dee. Jay-Z. Third is Arnold Schwarzenegger. Really? How come I don’t have muscles like him or a totally cool Austrian German accent? Fourth is Karl Marx. Well, I’m not a Marxist, but I do think some parts of communism has its merits. Just don’t give us the dictators who think they’re communists. Finally, we have Nikola Tesla. That guy was a genius! So, how about you? If you don’t know your personality type, you can find it on this blog post. Who are your famous personality twins? So, NASA has a big announcement coming about Mars tomorrow. There’s a lot of speculation about what it’s going to be. Water, ice, salt water, conditions for life, glaciers, flowing water, etc. Well, we already know about ice and glaciers. Can’t be that, can it? They said it’s going to solve a mystery. Maybe it’s about flowing water? There have been many outflows seen, which could either be caused by landslides or flowing water. Maybe they’ve solved that mystery. There’s a lot of hype leading up to this announcement, so it must be big. What do you think it is? Now we’re getting somewhere. I think this is around when the quality of my photos started becoming much better. More beach photos, and some photos I like from a park near I work. I think you’ll like this group. The rules are simple. I post 10 of my Instagram photos every few days, and you get to vote on your favourites. It’s multiple choice, so please vote for 2 to 4 photos (3 is ideal). Leave a comment saying why you voted the way you did. The poll comes after the photos. He doesn't like this tile lately.